The reference in the Queen's Speech to the subject of Law Reform, and the removal of the excitement of war, render it probable that the present Session will see some efforts made in that direction. The task to be performed is so vast and so various that it is most important that it should be undertaken with some definite notion of what it is desirable, and of what it is possible, to effect. We fear that the cause has suffered much from the ignorance from which few even of the professional Law Reformers are free, and more from the unconnected, and sometimes impracticable, nature of the measures which they have usually advocated. The popular notion, disseminated by writers like Dickens, is that the law is a mass of cruel absurdities invented by lawyers for their own profit, and that all that judicial decisions and statutory enactments have effected has sea to perplex a very simple subject. 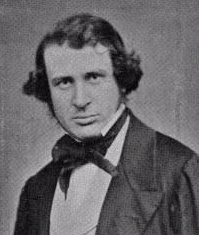 On the other hand, the Reforms which veteran lawyers have devised for the remedy of palpable inconveniences have too often been of such a character as to justify Mr. Mill’s sarcastic remark, that the law has been reformed as you might reform a pair of old shoes, by cutting holes in them wherever they pinched. He must be a very clearheaded man who could tell what are the precise circumstances under which a bare trustee is protector of a settlement, or how much of the old learning of contingent remainders has survived the 8 and 9 Vic. c. 106. Those who know that, under an circumstances whatever, law must be a very difficult study, and the cause of many hardships and much injustice—and who are at the same time aware that it is at resent much more difficult to learn, and much more unjust, tian it need be—will be equally unsatisfied with the foolish popular delusions upon the subject, and with the merely " practice " and unsystematic attempts at reform which have of late years been so common. Such persons generally assert that it is not cobbling or patching the existing system that will satisfy either the public or the legal profession—that what we want is a Code—that the old law books and reports must be distilled into a portable and intelligible form, so that the nation at large may have some conception of its rights and obligations, and the lawyers some chance of understanding their profession. In support of this position, they urge not only the examples of Rome, France, and many of the America, but the monstrous anomalies of our existing system. They allege that no one—not the most learned of the fifteen Judges—can pretend to anything more than a very vague notion of the law applicable to any given state of facts. They say that the law of England is based upon an indefinite something called common law, reduced to writing by certain obscure and entirely unauthorized persons, whose words, from the mere circumstance of their antiquity, have been by degrees invested with all the weight of legislation, so that the private opinion of Coke, Littleton, or Sheppard, is of hardly inferior force to that of Queen, Lords, and Commons. The opinions of these writers may be, it is allowed, to a certain extent, ascertainable; but though they fix the tradition as far as they go, their decisions leave a vast field unoccupied—a field which has been assiduously cultivated for several centuries by the judges of the three Superior Courts of common law. The labours of the latter have produced a vast crop of decisions, the reports of which fill man hundred volumes; and the cases are conflicting, uncertain, and reported with very different degrees of accuracy. Court is opposed to court, judge to judge, and often a decision is pronounced dissentientibus some, and dubitantibus others. Even this, however, is not all. The judges, we are told, might have legislated wisely; if they had legislated freely, but they are legislators only sub mode. The fiction of law is, that their judgments are merely declaratory or interpretative. When, therefore, they determine, for example. that they rather think, but are not sure (Coleridge, J., dissenting), that an action would lie for the malicious procurement of a breach of contract, they do not mean that such is their view of what is right, but that they incline to the Opinion that, if there had been a rule on the subject four or five centuries hack, it would have been to that effect. By this arrangement, it is contended, we decide what the law is, not with reference to what would be most expedient now, but by employing the best intellects we can find in conjecturing what it ought to have been under the Plantagenets. The part of this system which most strikingly illustrates the elasticity and originality for which it earns so much raise, is, perhaps, as our critics, that which refers to crime. If a little boy rocks a baker’s window, and steals a roll, between nine P.M., and six A.M., it is in the discretion of the judge who tries him to imprison him for a week, or transport him for life. Two thieves, jointly indicted for picking a pocket, may, in many cases, by severing in their challenges, secure the acquittal of one, because picking a pocket is a felony. Two bankers, charged with disposing of securities belonging to their customers and worth thousands of pounds, have no means of enforcing their demand for a separate trial, because they are merely charged with a misdemeanour. It is some consolation to them to remember that, for the same reason, their property is unaffected by their conviction; whilst the judgment of the cart transfers to her Majesty an indisputable right to the mosaic gold chain and dirty linen which form the whole property of the attainted swell mobsman. But it is not alone to that indefinite something called common law that these sceptical objections apply. They apply with equal, if not with greater, “force to the equally indefinite something called equity." Equity once meant whatever the Lord Chancellor thought right. It now means that course of conduct which is least inconsistent, under the circumstances, with what some or all of the Chancellors, Masters of the Rolls, Vice-Chancellors, and Lord Justices, have at some time or other thought right—regard being had, moreover, to the rules of common law and the decisions of the House of Lords, especially when (as has sometimes been the case) that noble body consisted of the Lord Chancellor, hearing with judicial indifference appeals from himself. Upon these solid foundations, say the critics of our legal system, is raised a superstructure of statutes, curiously contrived to fill up each other's deficiencies. The wisdom and the wants of many generations have provided so ample a provision of them that they repeal, re-enact, overlap, qualify, and rectify each other in every possible direction. If on wish to understand what is meant by “40s. by the year above all charges," and to find out the effect of possessing that amount, you must refer to the Reform Act, the 7 and 8 William 3, c. 25, the 18 George 2, c. 18, and the 8 Henry 6, c. 5. On comparing these Acts with the arguments and judgment in Barrow v. Buckmaster (12 C. B. 664) and the cases there quoted, you may at last arrive at the meaning of the expression, he statutes, say our cynical objectors, are like a huge heap of building materials—beams, bricks, hewn stone, masses of mortar, and not a little rubbish —all thrown up in a mass together. By signal good luck you may avoid holes, and pick your way in safety over the heterogeneous mass; but if you are not very careful of your steps, some treacherous clause will give way, and you may disappear into all sorts of pitfalls and caverns—you may fall rom statute to statute, all touching, but none meeting your case—till your descent is arrested by some antiquated monument of mediaeval legislation, or by the unfathomable mysteries of the common law. Certainly, we are told, that is a wonderful system which gives a man who traffics in Russian funds his choice between three months imprisonment under 17 and 18 Vic. c. :23, and hanging, drawing, and quartering, under 25 Ed. 3, st. 5, c. 2. To a certain extent, we think these objections unanswerable. No one who is practically acquainted with the law can deny that it is now in a state closely resembling that of Roman jurisprudence in the time of Justinian; but that we are as yet prepared for the remedy which Justinian applied, we can by no means admit. The very abuses which have made a Code so necessary have rendered its construction by the present race of lawyers almost impossible. Indeed the form of our government is by no means favourable to such an undertaking. Is it conceivable, that Parliament would delegate legislative functions of such enormous magnitude into any private hands? Is it possible to suppose that, if such delegation were to take place, a Code debated in Committee would retain anything more than the semblance of that scientific completeness without which it would be a mere delusion. Unity of purpose and of execution is as indispensable to a code as to a picture. The House of Commons would find it as impossible to vote the one as to paint the other. Believing, however, that thong a Code is for the present not to be hoped for, all law reform is tending in that direction, we should wish to see those who are interested in the subject unite to obtain objects which are within their reach, and which would greatly facilitate the ultimate codification of the law. The first of these objects is the improvement of the system of legal education. Probably there is no class of men in the world who are so thoroughly masters of their profession as English barristers, but there is none whose education is so special and so entirely unscientific. With the exception of a few textbooks, an English barrister’s whole knowledge consists of a knowledge of cases—that is, of little points, or private enactments, made with reference to the particular circumstances which called them forth. All that the keenest intellect and strongest memory can hope is to know where to find what is wanted. To reduce English case law into a set of principles and rules would be as impossible as to perform the same operation on the Statute Book. Codes are composed of materials of which English law hardly furnishes any specimens, and with which the minds of English lawyers are altogether unfamiliar. If, however, the education at present given by the Inns of Court were made compulsory upon all candidates for the bar, and if the study of jurisprudence and of the laws and codes of other countries were enforced upon all such persons, one of the greatest of all steps towards codification would be taken. For the present, the most useful course open to us is what is known by the name of consolidation—that is to say, uniting in one enactment all the statutes bearing upon a given subject, and repealing the rest. This was the course taken in 1849 with the Bankruptcy statutes, eleven of which were consolidated—not over ski fully, it is true—in the 12 and 13 Vic. c.106. There is no doubt that the same process might be, with great advantage, applied to the criminal statutes, and to many others. Another most important—as it would be the easiest—means of preparing for a code, would be the re-organization of our existing system of reporting. This most important function is at resent a bookseller's speculation. Certain publishers agree with gentlemen, upon whose appointment the Judges exercise a kind of informal veto, to report all cases of importance decided in a particular Court. The payment is, we believe, proportioned to the quantity so reported. It is obvious that sue a system is liable, even in the hands of the ablest and most conscientious men, to very great abuse. Many cases are reported at greater length than is necessary, and many others are reported which had better have been omitted altogether. The function in question is clearly one which ought to be discharged by a public officer, under the superintendence of the Judges. To an unprofessional reader this may appear a small matter, but those who understand the extent to which the work of legislation is at present entrusted to mere individual taste or opinion will recognise the importance of the reform in question. By these or similar changes, we think it possible that the vast mass of matter which now forms the law of England may gradually come to be more or less understood, and more or less prepared for scientific re-arrangement and classification. Hasty attempts to cure the evil would, we are confident, only aggravate it. On the other hand, if the law remains unreformed, and goes on accumulating at the rate of eight or nine volumes of reported cases, and a volume of statutes at large, per annum, no human memory will be capable of retaining it, and no human tribunals will be sufficient for its administration. Saturday Review, February 2, 1856.